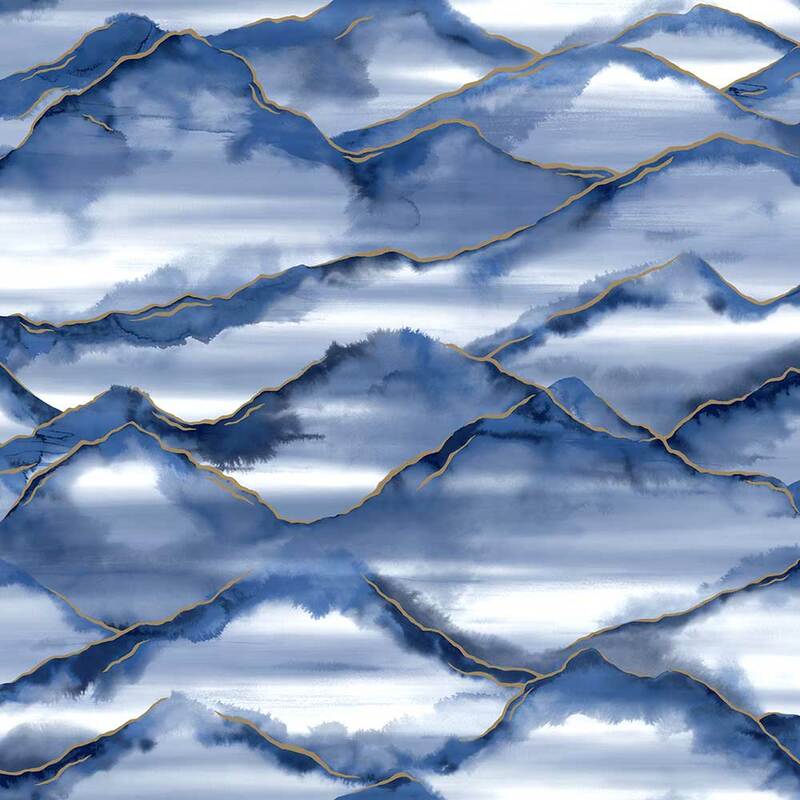 A beautiful wallpaper design featuring a painterly effect mountain scene, with metallic detailing. Shown here in the navy with metallic gold. Other colourways are available. Please request a sample for a true colour match.